Should My Dog Have a Raw Meat Diet? Choosing your dog’s food can be a big decision for pet owners. Older dogs might need special food to keep their weight down or softer food to compensate for sore gums and teeth. Young dogs burn lots of calories and can benefit from puppy food for awhile, but cannot take the high caloric count for much longer than a year. If your dog has a sensitive stomach, you may have to try many different kinds of food until you find one that fits. You’ll also likely take into account the brand and what products and ingredients are used in their food. You might have even considered the raw meat diet. But if you haven’t, let’s dive into why you might. Is the Raw Meat Diet exactly what is sounds like? In a word, yes. The Raw Meat Diet for your dog would be serving your dog what they would eat if they lived in the wild and not domestically. If you search on the internet for raw meat diet, you’ll find many different opinions about how you should introduce the raw meat diet to your pet. The number one rule is to either purchase fresh from the butcher, or freeze for at least three weeks to make sure you kill any parasites on the meat. Examples of this are muscle, fat, tongue, heart, gizzards, etc. Examples of this are wings, ribs, tails, feet, etc. Some bones should not be eaten by animals, so make sure you know which are which. Examples of this are kidneys, liver, spleen, pancreas, brain, etc. Not all dog owners include this category, but there are benefits to feeding your pet kale, broccoli, sunflower seeds, almonds, blueberries, and raspberries, etc. Just make sure to always research whether or not anything from this category is appropriate for dogs to eat, as some things are off limits to animals. So, you find a routine that works for you, either frozen food, or sourcing from a local butcher. You find some combinations that your dog likes and are best to put together for meals. It’s not a very difficult thing to do. But is it the right thing to do? There are very strong opinions on both sides, so let’s go over the pros and cons of the raw meat diet for your dog. Why Should You Feed Your Dog a Raw Meat Diet? Proponents of the raw meat diet say this is a more easily digestible meal for your dog. It is the way they were born to eat. Their ancestors in the wild would have eaten raw meat, organs, and bones, and their biological makeup is meant to eat in this fashion. Dogs who have issues with food are not able to digest the processed foods they eat because they should be eating what they naturally would eat— raw meat. You will also read about how much starch is in the dry dog food that most people use. Starch is of very low nutritional level for dogs. Starch activates the production of endocrine, and too much endocrine is bad for your dog’s health. A raw meat diet would take the starch out of your dog’s system. Why Shouldn’t You Feed Your Dog a Raw Meat Diet? There is obviously a great deal of expense related to this kind of feeding for your pet. Dry dog food, or even wet dog food, is made en masse, so it is cheaper. Buying raw meat and organs for your pet is likely going to cost more than that. he raw meat diet is also hard to stomach for some people. Feeding your dog an organ might make your stomach turn. It also takes up a little more of your time than simply filling your dog’s bowl with dry dog food. You do have to plan out meals, figure out whether you will freeze your dog’s food or buy fresh from a butcher, and, if you do freeze, remember to thaw. Raw meat does have to be handled carefully. You do run the risk of improperly handling the meat if you are not well versed in raw meat handling, and your dog could get a parasite from the uncooked meat. 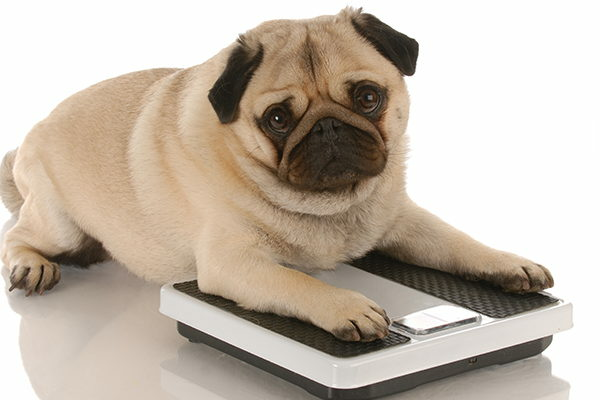 Choosing your dog’s diet is an issue you should discuss with your vet. Do plenty of research so you have a good list of questions to ask the vet when you talk about switching your dog to a raw meat diet. Ultimately, you will have to decide what works best for you and your pup. If you have questions about different raw meat diets, and whether it is a good fit for your dog, call the experts at Academy Animal Hospital today!